With our social impact hackathon, #Hack4Homelessness kicking off tonight! (15-17 September 2017) We thought we’d go behind the scenes to talk with our sponsors SGCH (St George Community Housing). With over 30 years experience, SGCH are a community housing provider who develop and manage sustainable, safe and affordable homes to create vibrant, inclusive communities. They have provided a place to call home for more than 8,500 people across 4,4000 properties in the Sydney metropolitan area. SGCH knows the people impacted by homelessness and housing affordability. They’ve listened to their stories and know their families and their pain; “It is heartbreaking to fathom that over 105,000 individuals are homeless on any given night in Australia”. SGCH are in the midst of delivering more than 800 new, social and affordable and energy efficient homes, across Sydney by 2021, providing more housing and more opportunities for low income families and have worked with other services providers to house people who are homeless through a number of different programs. In 2014, they launched a pilot project with the Mercy Foundation, called Project Sustaining Tenancies Around Youth (Project STAY). This provided subsidised private rental accommodation and wrap around support services for homeless/at risk youth in the Bankstown area. One of the great challenges is there is simply not enough affordable housing for lower income and vulnerable households to rent. The sheer length of social housing waiting lists across the country indicate precisely how many people in Australia are struggling to cover their full living costs and survive in the private rental market (currently, there are 59,000 applicants on the NSW Housing Register and this number continues to grow). In a country as prosperous as ours SGCH believe “it is simply unacceptable that we do not have an adequate supply of housing to cater for the needs of all people in our community and are looking forward to hackathon participants “coming up with ideas and solutions that may give more people the opportunity to access what is a basic human right – a safe and comfortable home”. 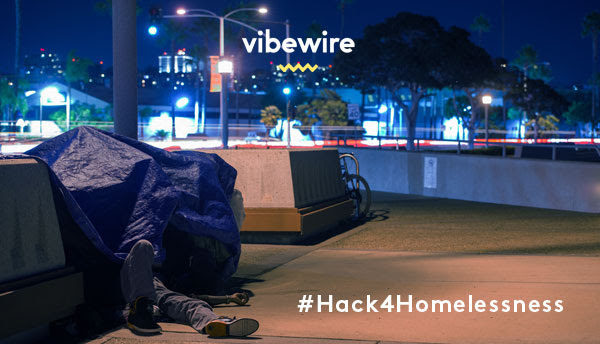 Vibewire hope that we can make a difference by bringing together the community, like-minded businesses, government, the private sector and housing providers like SGCH to deliver more social and affordable housing and connect people to opportunity.